RACINE – Mr. Frank F. Hargrove, 92, passed away on Friday, February 8, 2019. He was born in Columbus, MS on October 23, 1926, the son of the late Virgil and Corinne (nee: Jenkins) Hargrove. On June 8, 1952 he married Edna L. Martin. Frank proudly served his nation with the U.S. Army during the Korean War. In 1958 they moved to Racine where Frank began his career making automobiles with Nash, AMC and Chrysler. He retired in 1998. He was a longtime member of St. Paul Baptist Church and the UAW Local 72. Frank enjoyed working in his yard, painting and watching baseball and football. However, he was happiest in the company of his family. 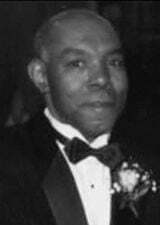 In addition to his wife, Edna, Frank is survived by his children, Giles (Pam) Hargrove, Victor Hargrove, Martin Hargrove and Lisa Hargrove; a host of grandchildren and great grandchildren; his brother, Sam Hargrove; his sister-in-law, Mary A. Hargrove, Mary E. Hargrove, Wilma Mae Hargrove, Idella Hargrove and Ruth Hart; as well as many nieces and nephews. Frank was also preceded in death by his daughter, Corinne Hargrove. Family and friends are invited to meet at St. Paul Missionary Baptist Church (1120 Grand Ave) on Thursday, February 14, 2019 at 11:00 a.m. for the celebration of his life and Homegoing with Bishop Lawrence L. Kirby and Frank's nephew, Pastor Melvin Hargrove officiating. There will be a visitation in the church from 10-11 a.m. His interment will take place at the Southern Wisconsin Veterans Memorial Cemetery in Union Grove.